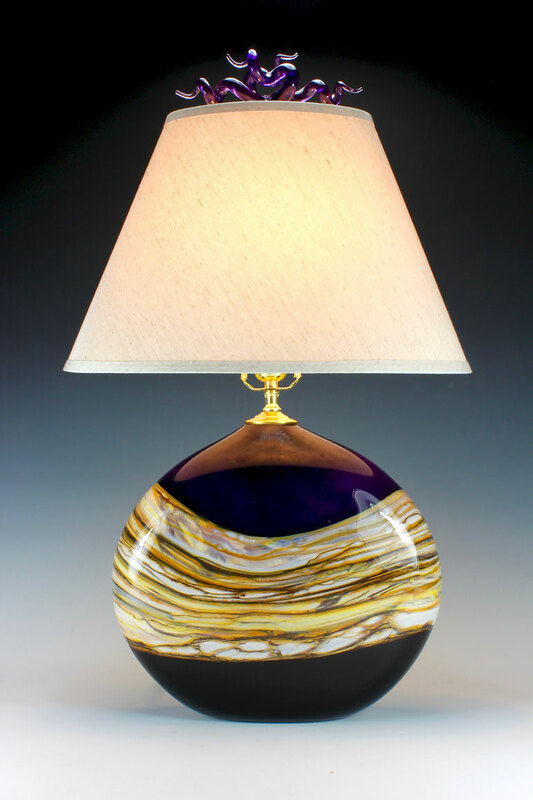 Our signature designs are now available in table lighting. 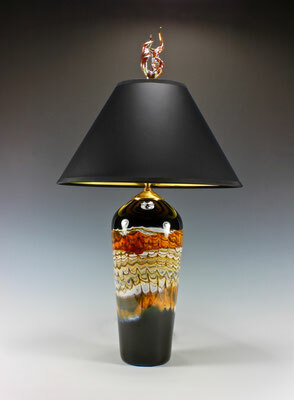 Our newest work combines beauty with function. Available in all our signature colors. 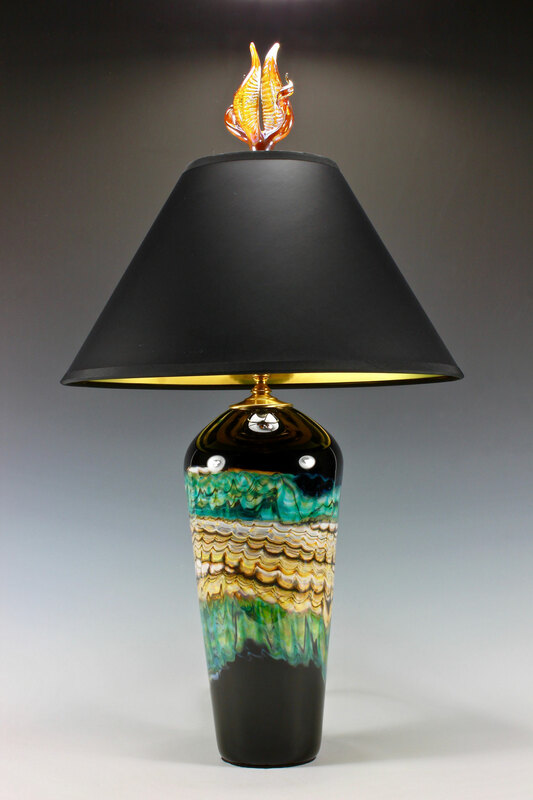 Our new lamps also feature high quality brass hardware sockets, Spt-2 cord sets and made in the USA hard backed lamp shades. 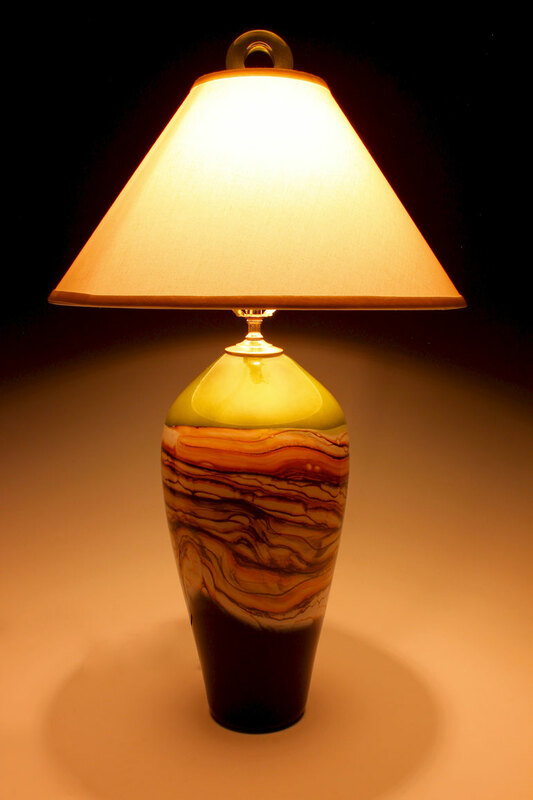 Our lamps accept standard base type bulbs (maximum wattage 75W). 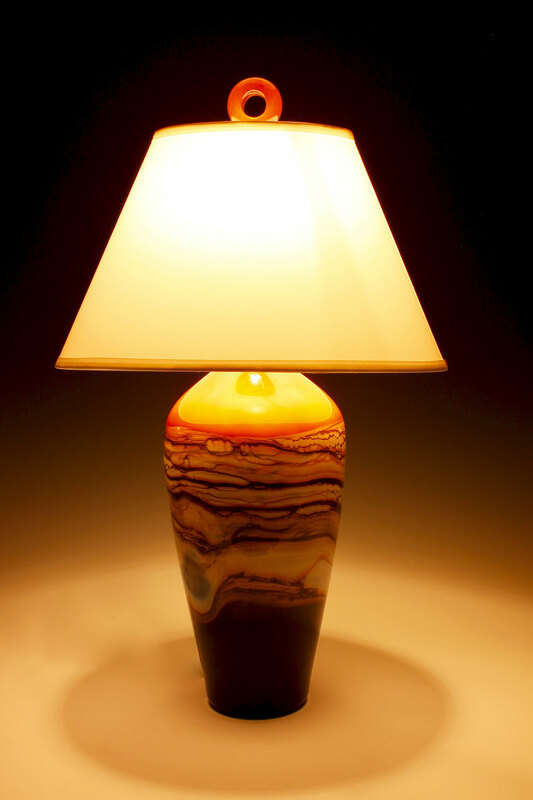 We recommend Eco Smart LED bulbs and Edison type bulbs. 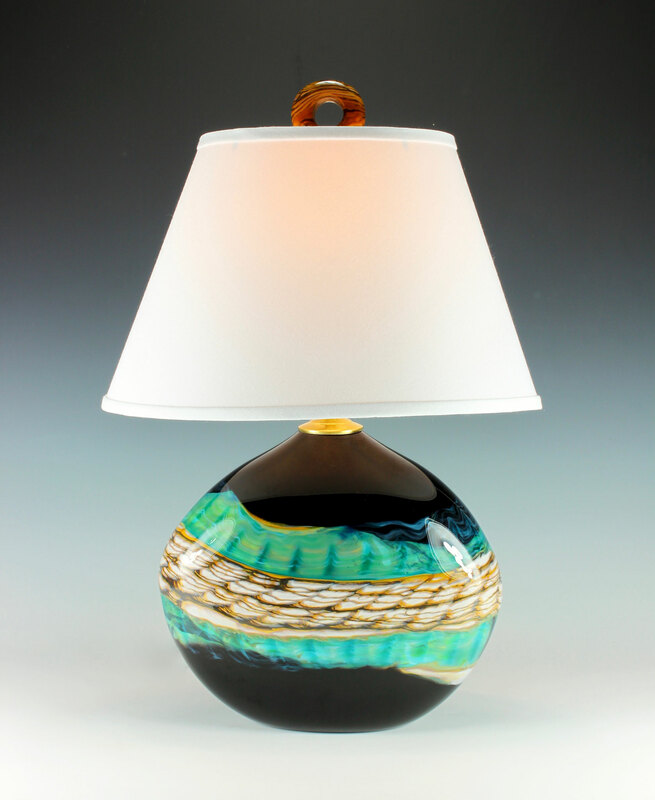 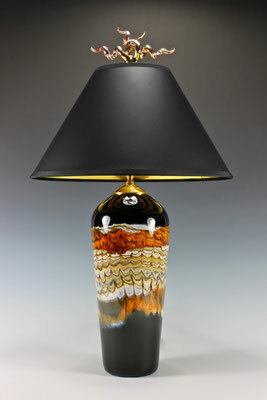 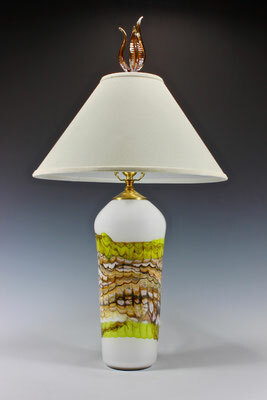 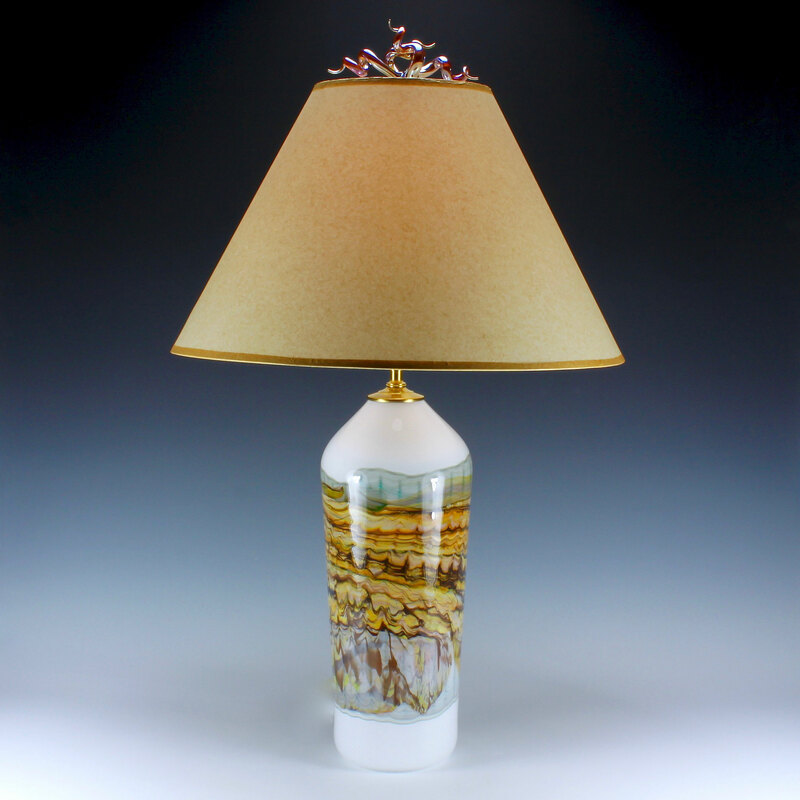 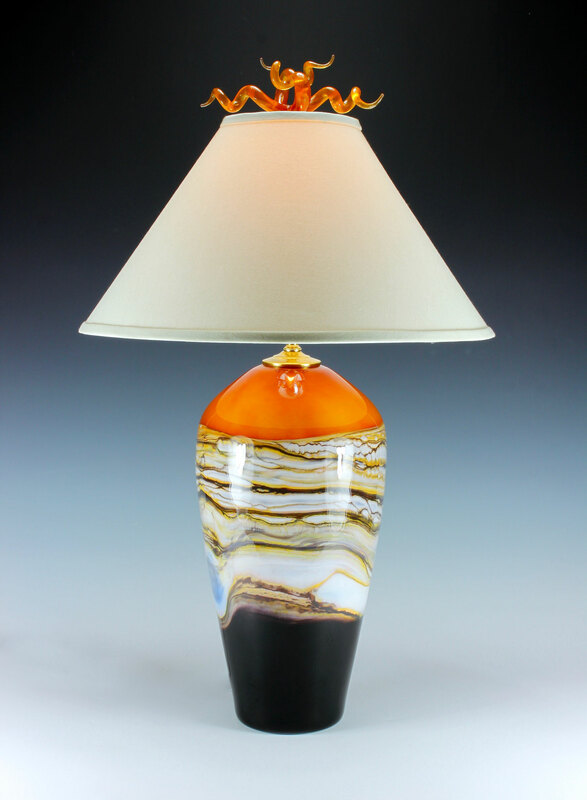 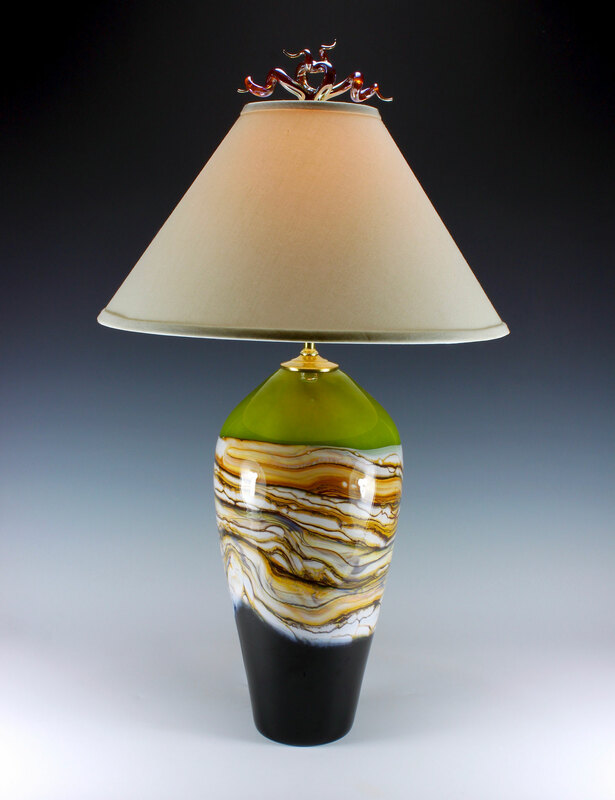 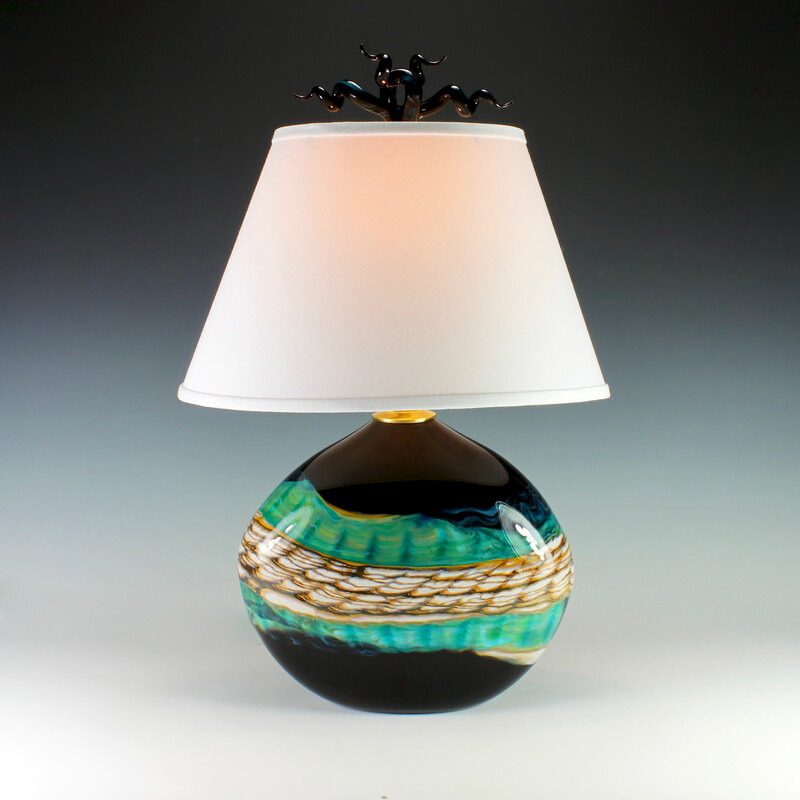 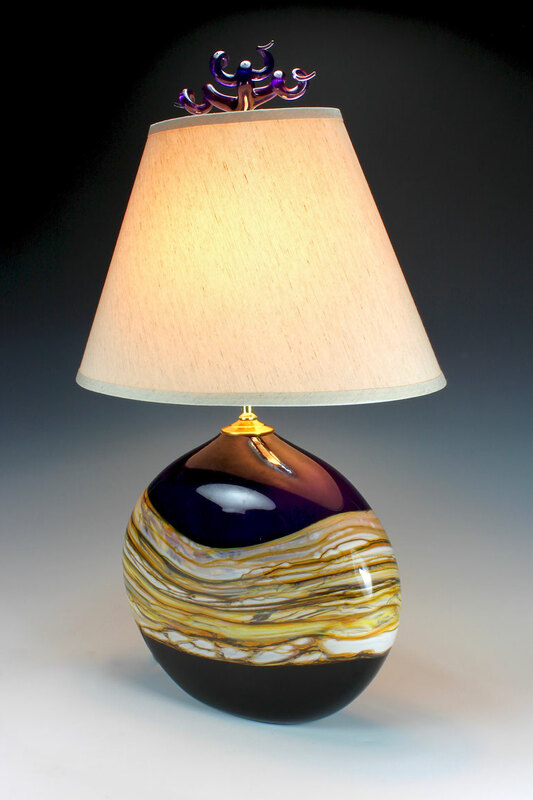 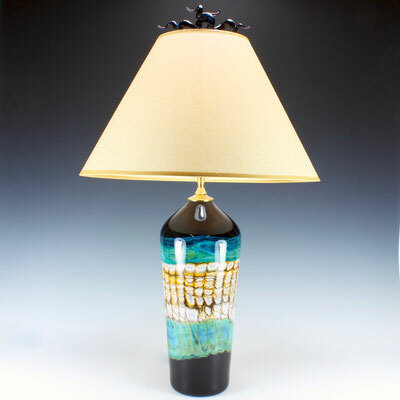 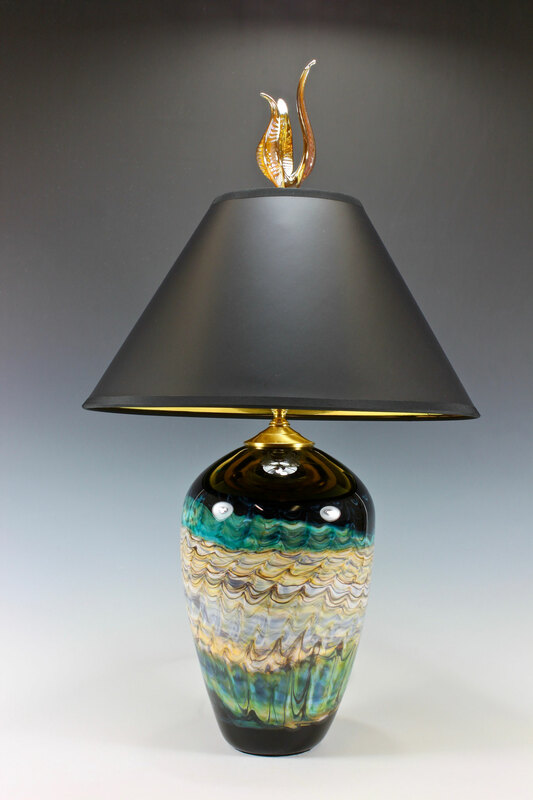 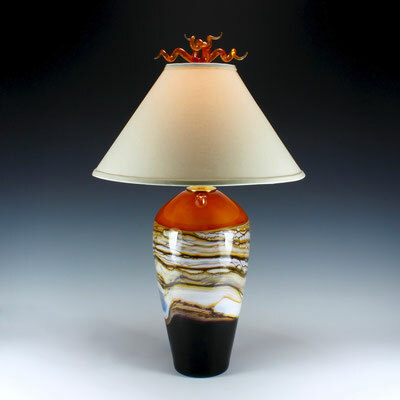 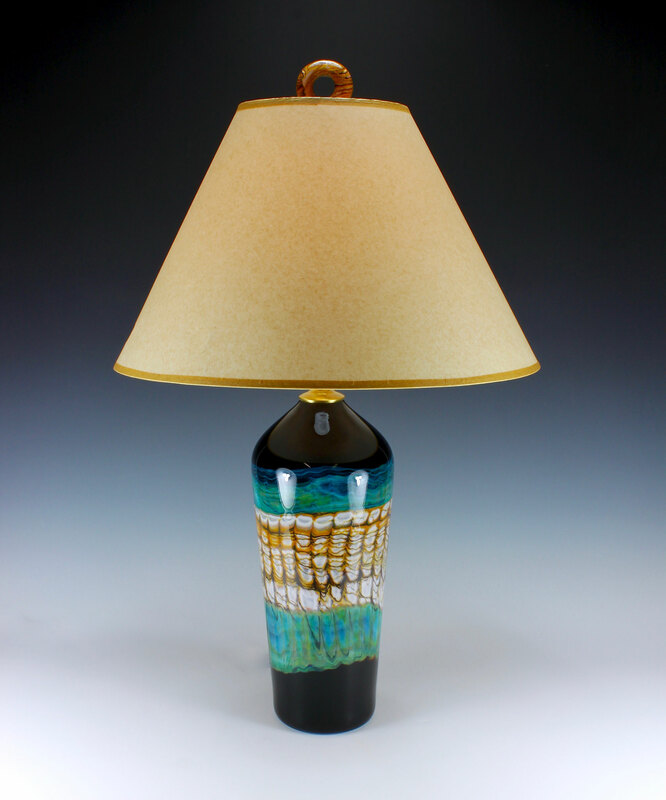 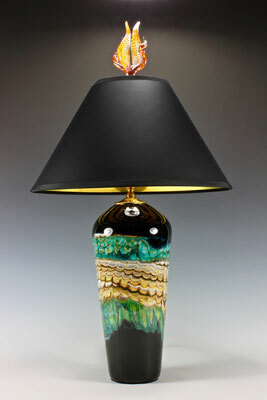 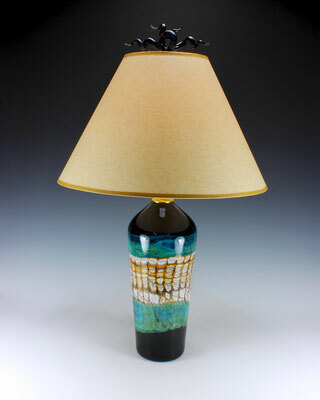 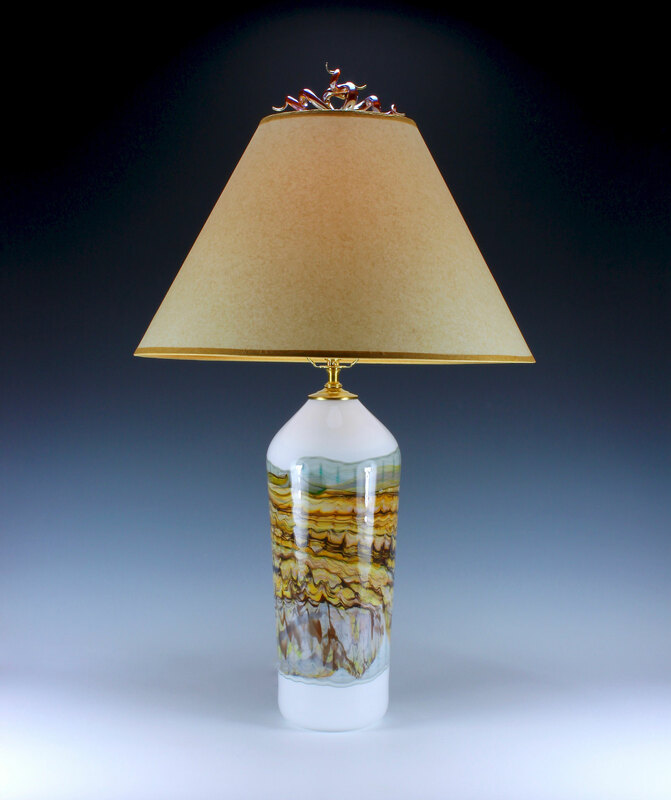 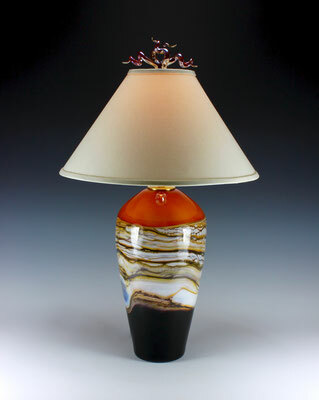 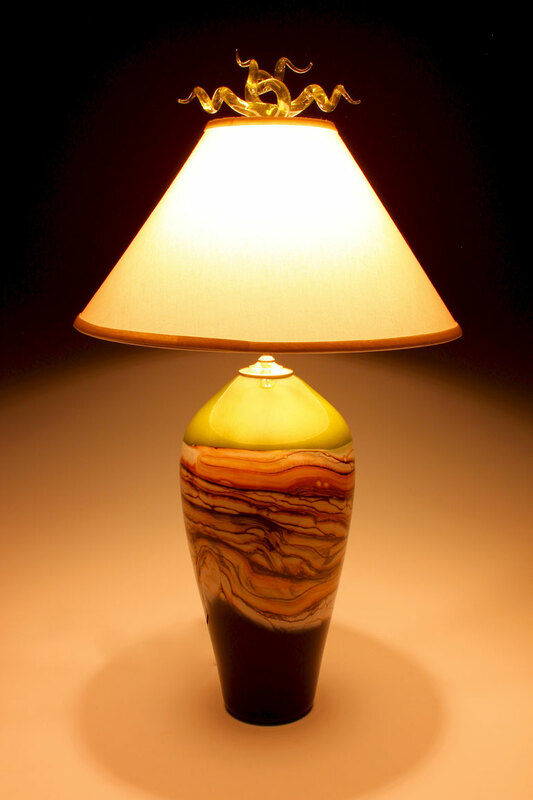 Cylinders and vessel lamps are approximately 33” tall and flat vessels are approximately 26 “ Tall.